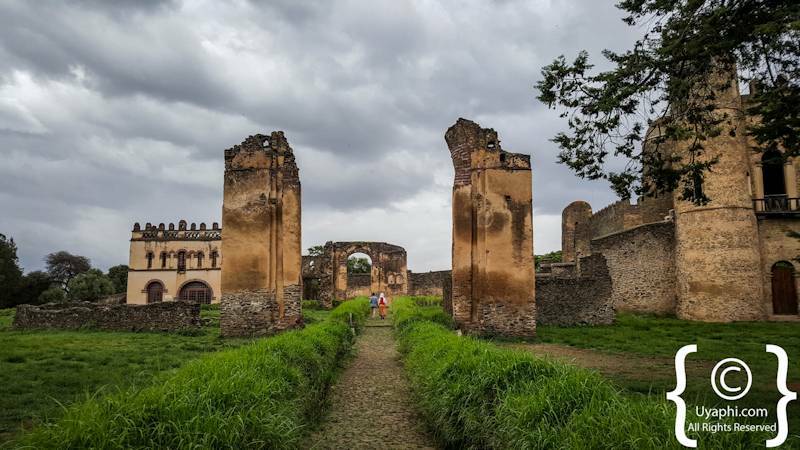 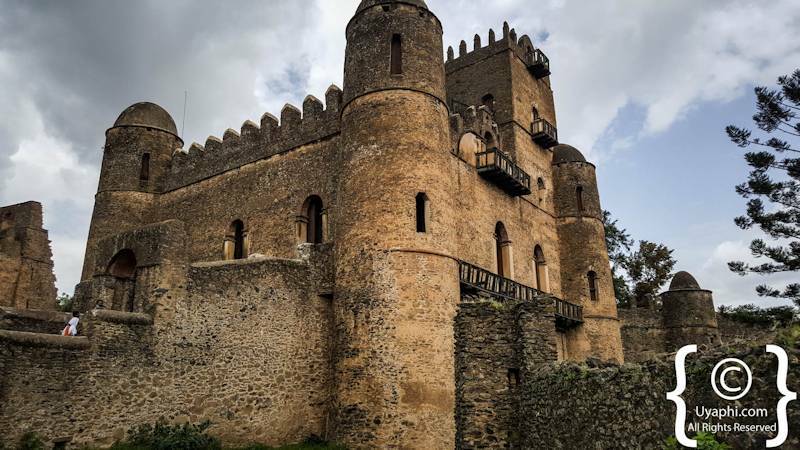 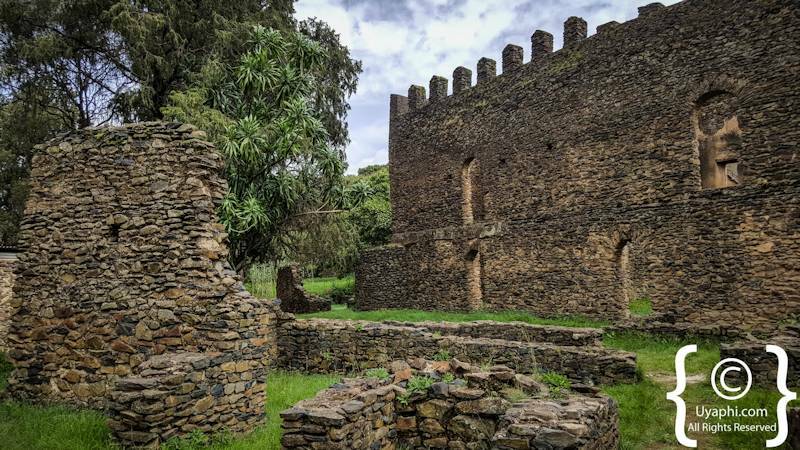 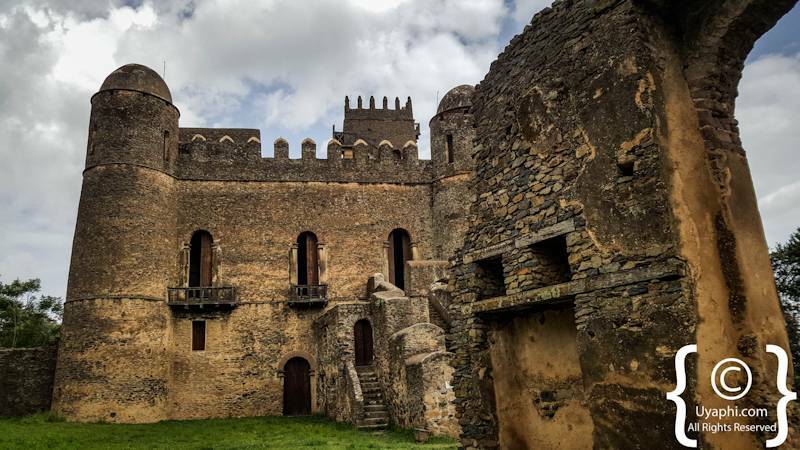 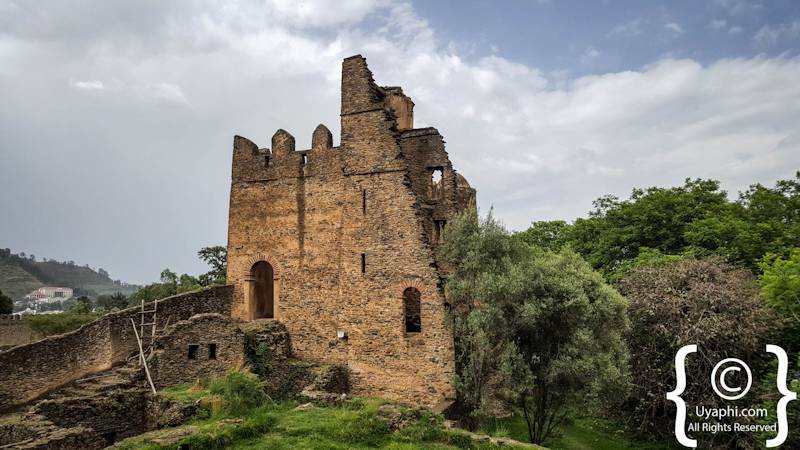 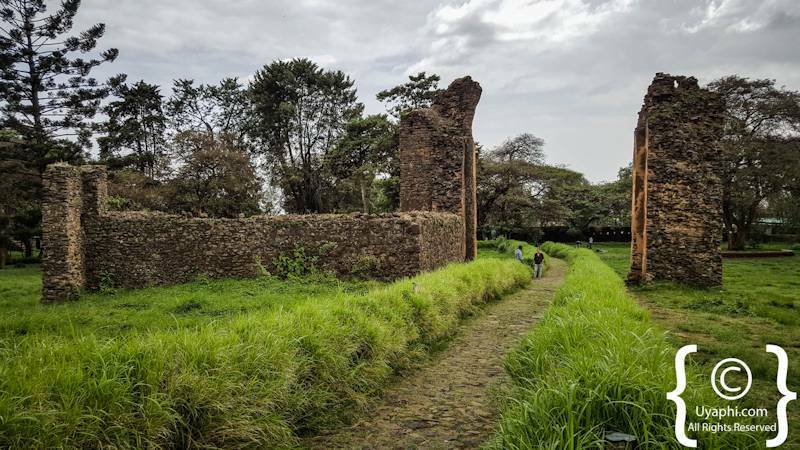 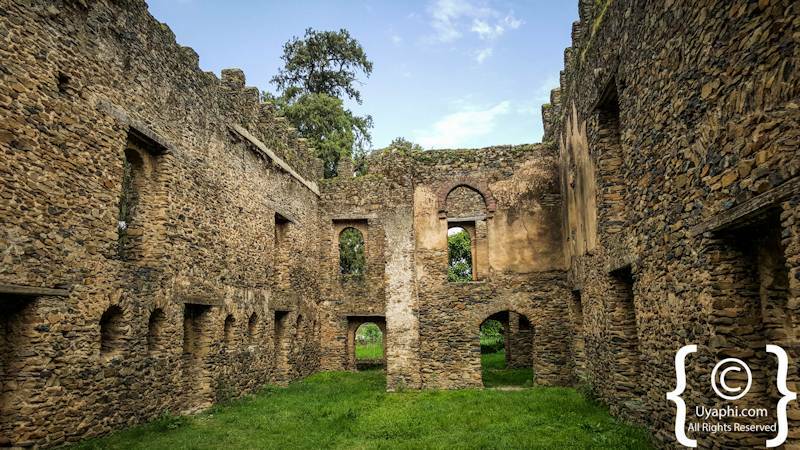 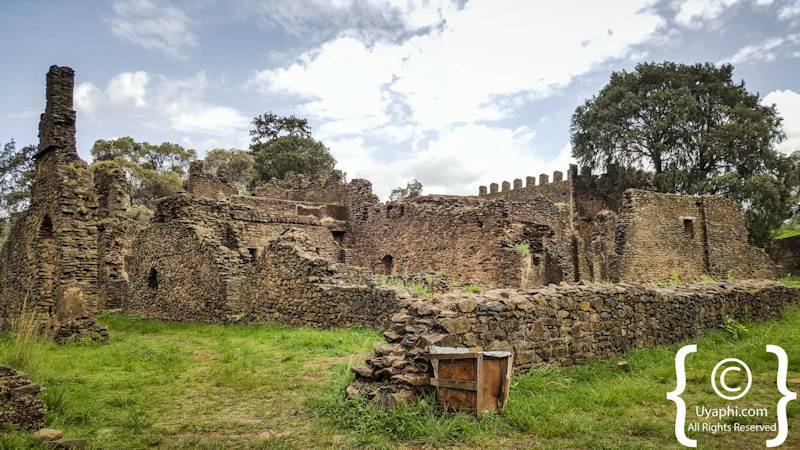 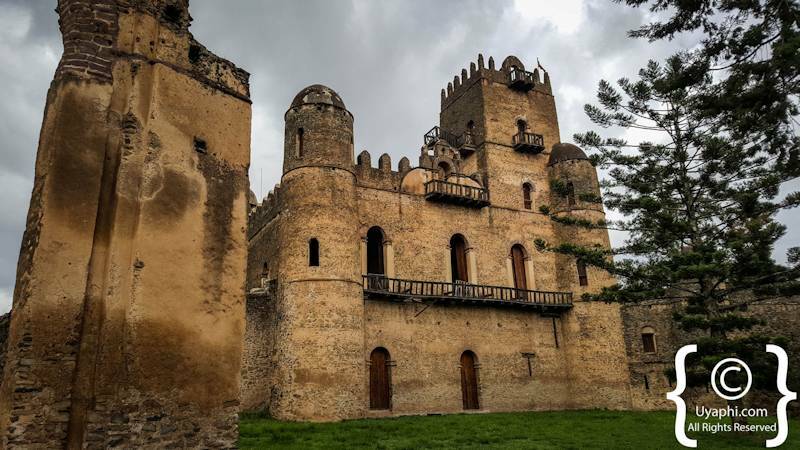 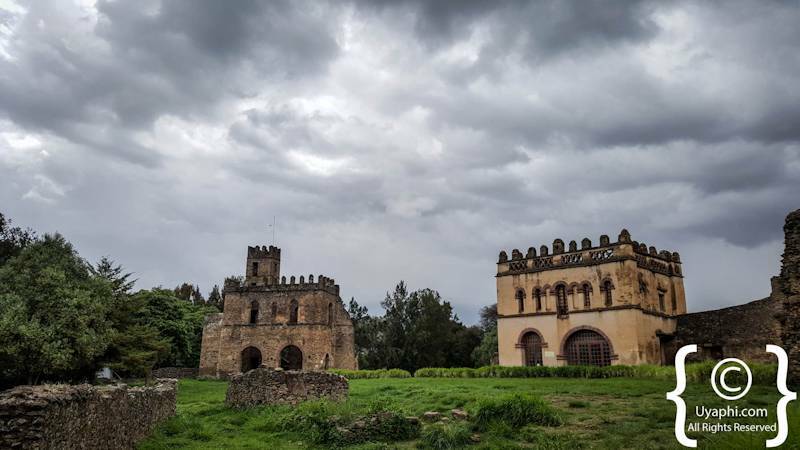 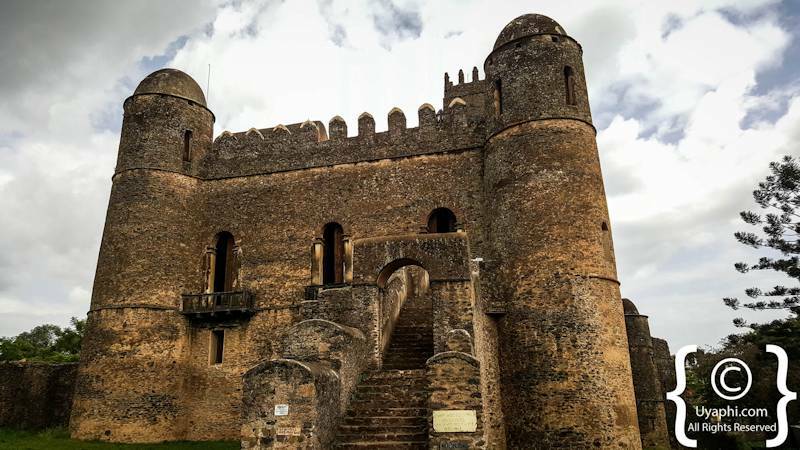 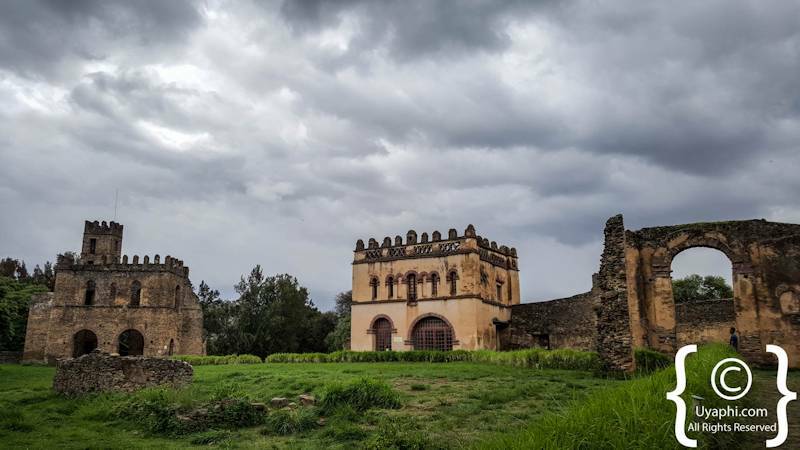 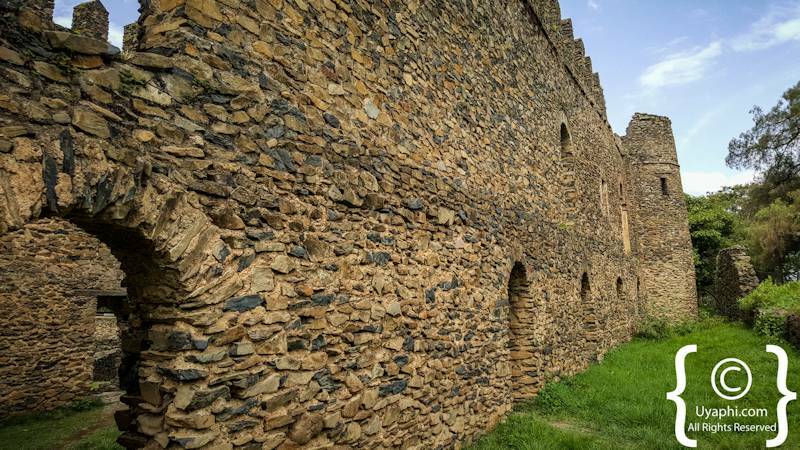 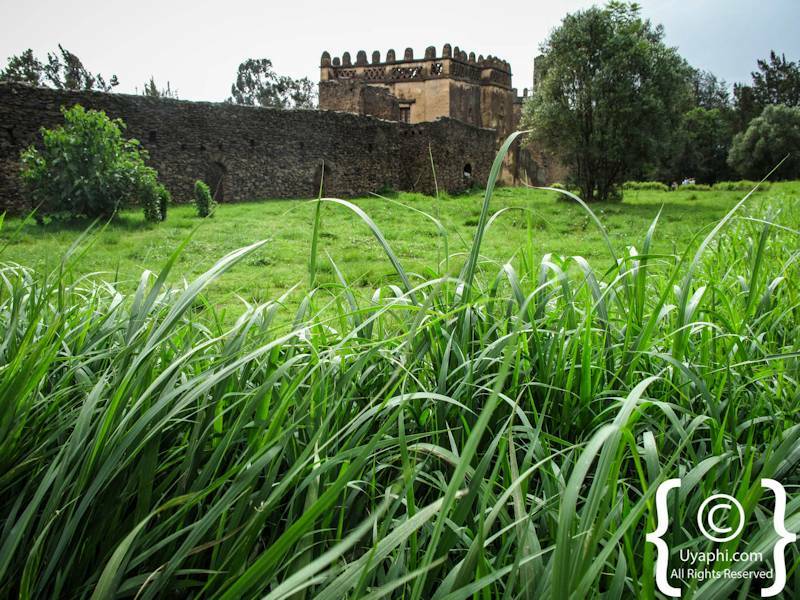 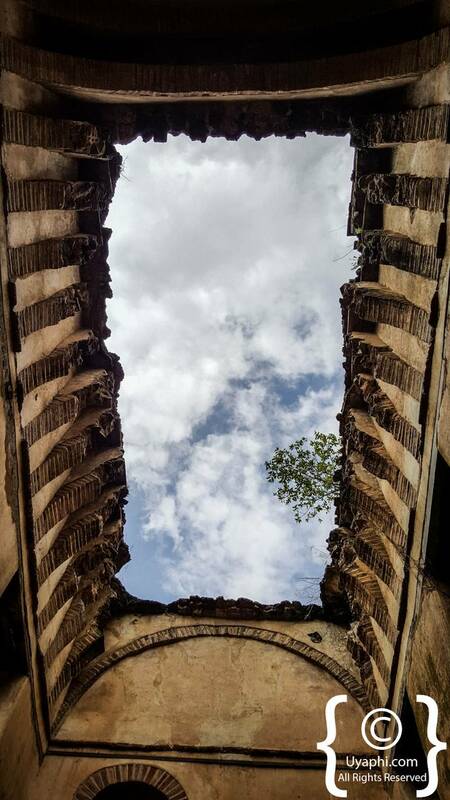 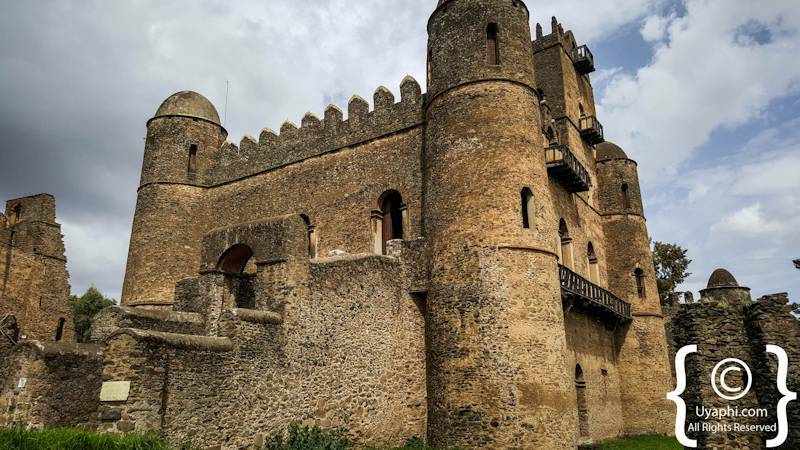 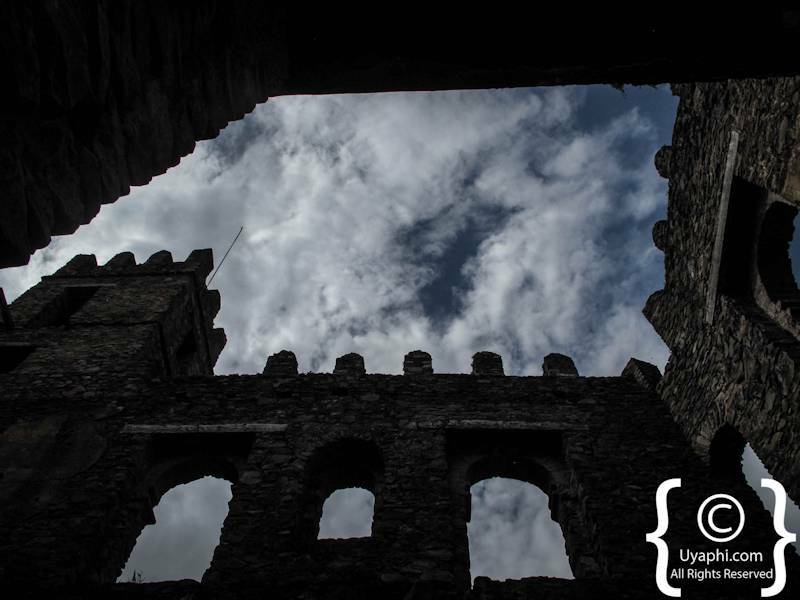 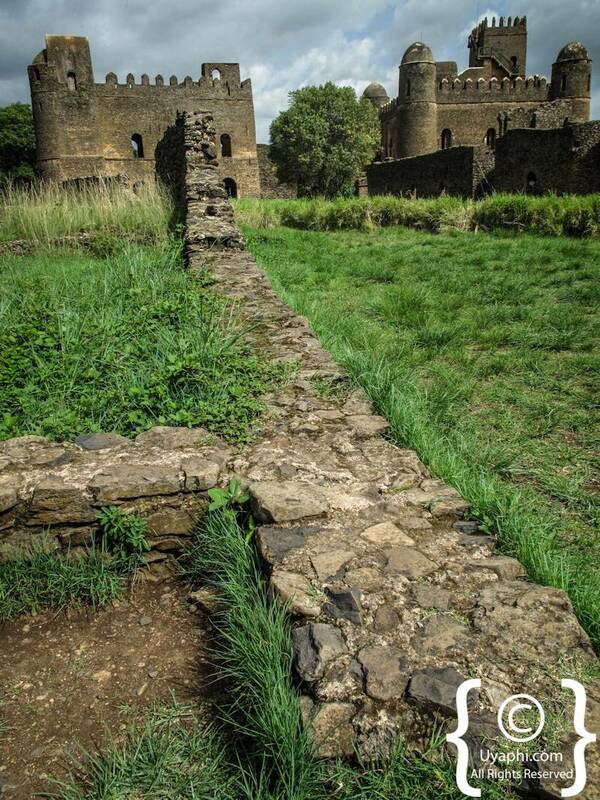 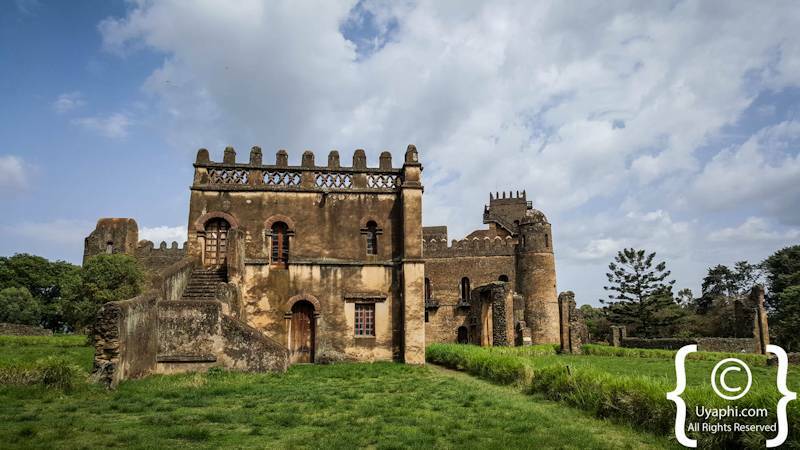 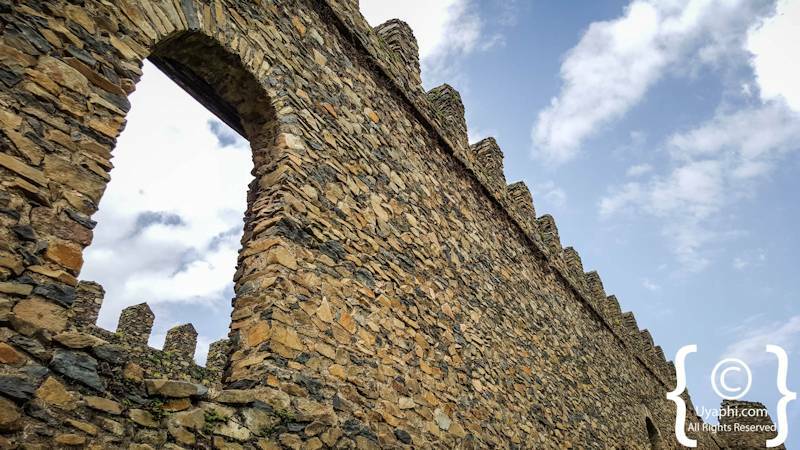 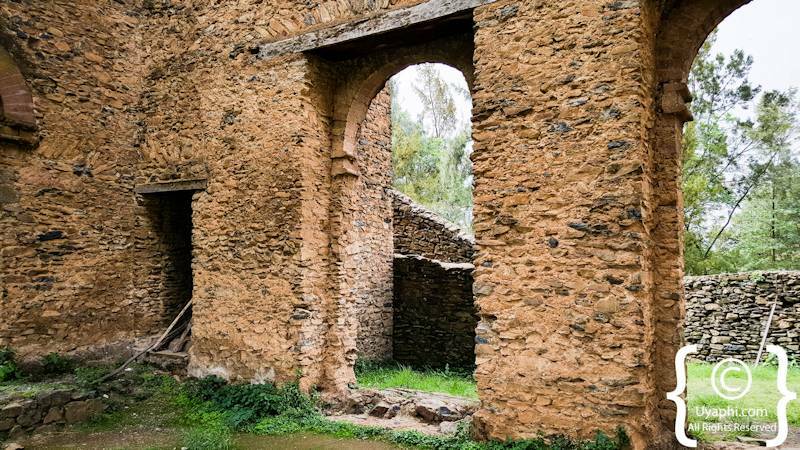 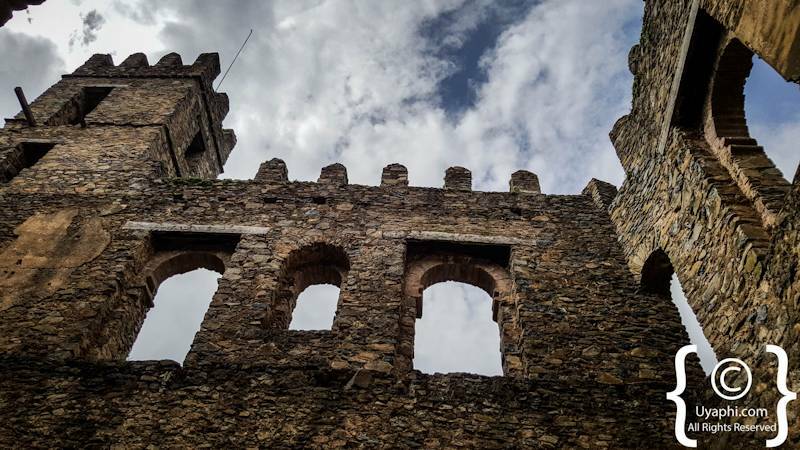 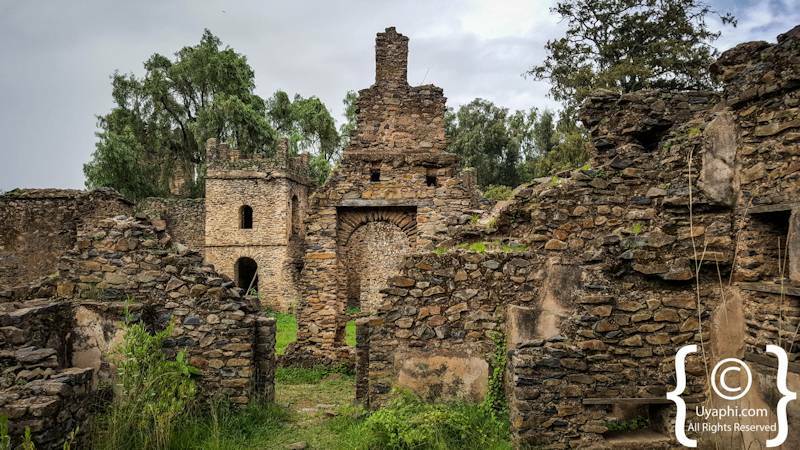 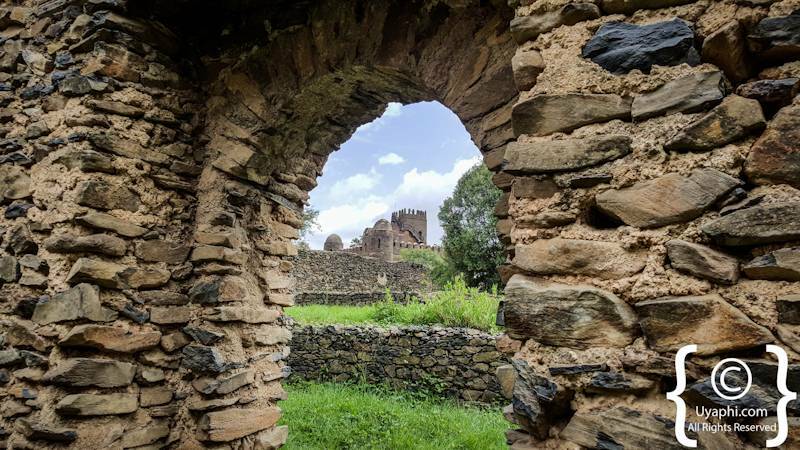 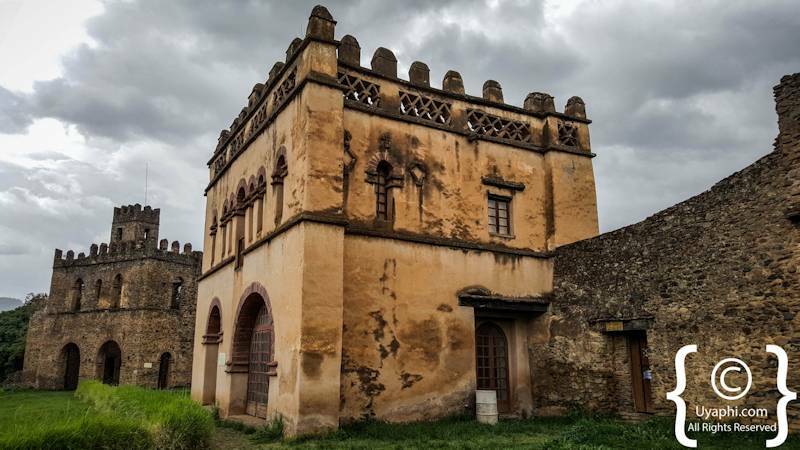 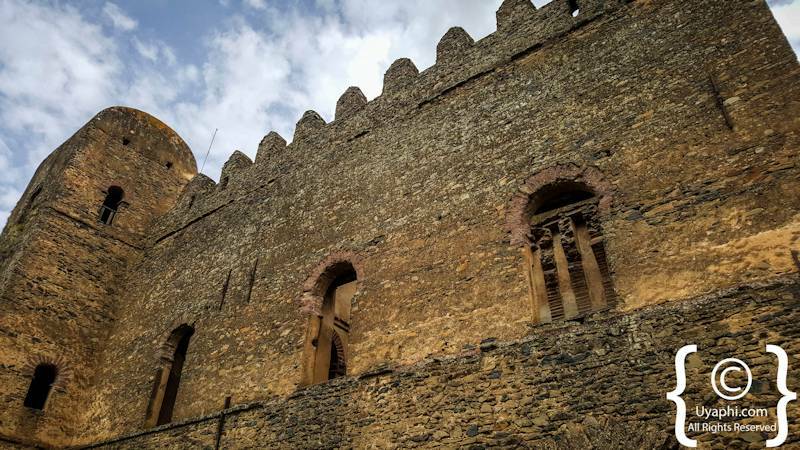 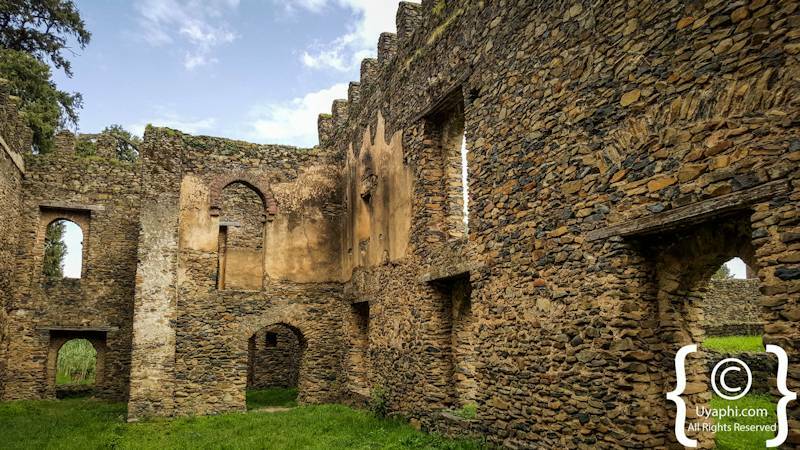 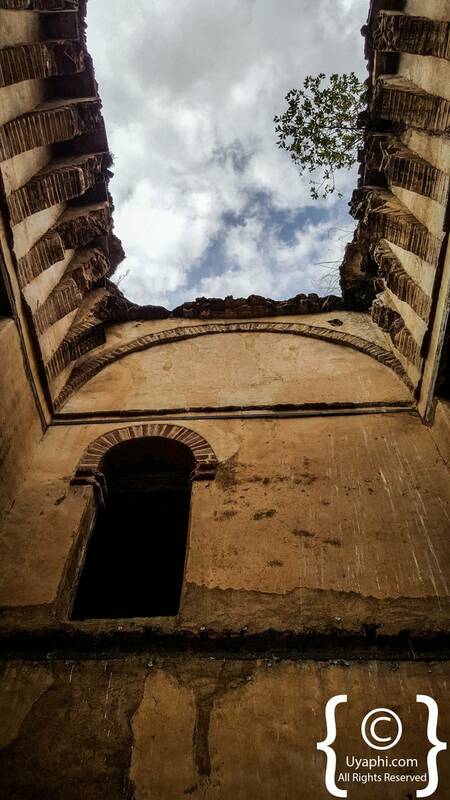 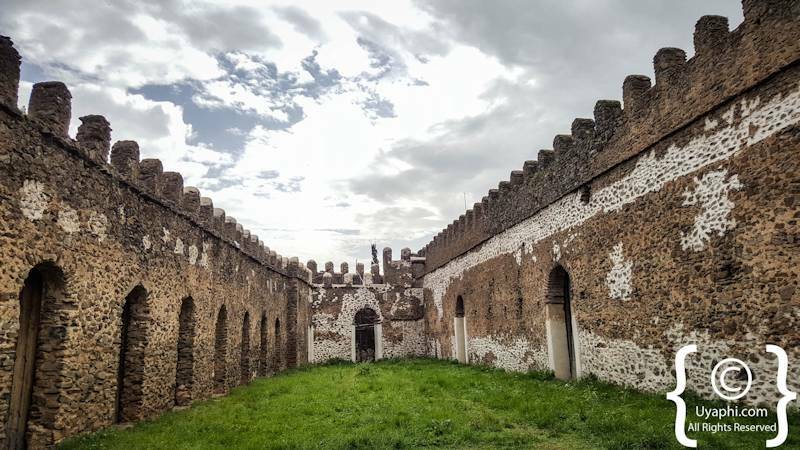 Positioned right in the heart of the modern city of Gondar ones comes across Fasil Ghebbi (Royal Enclosure), with over 70 000 square metres of castle ruins. 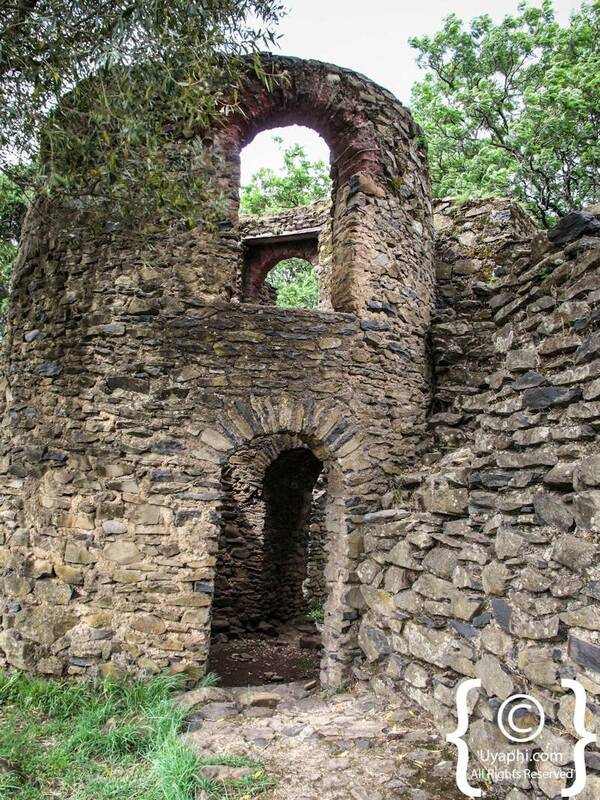 Now to say that this is a fascinating place to explore is probably the understatement of the year. 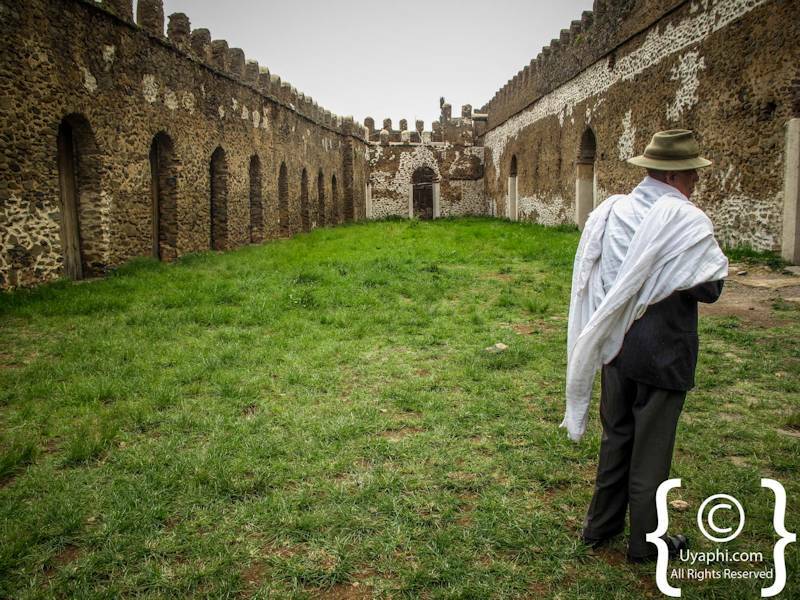 With a good guide who knows their history one is taken back to the time when the enclosure was built, why it was built, by who it was built and why they kept adding to the structures. 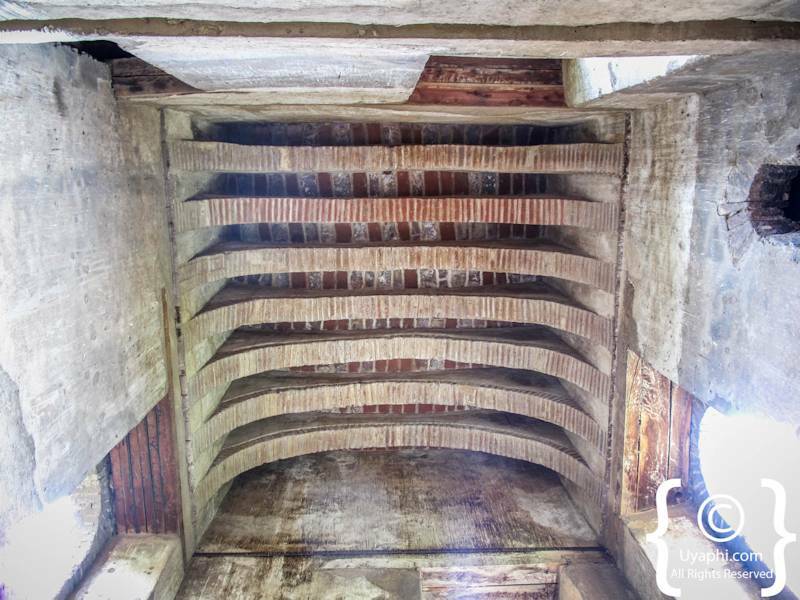 Then an explanation on how the British in WWII accidentally destroyed part of the complex. 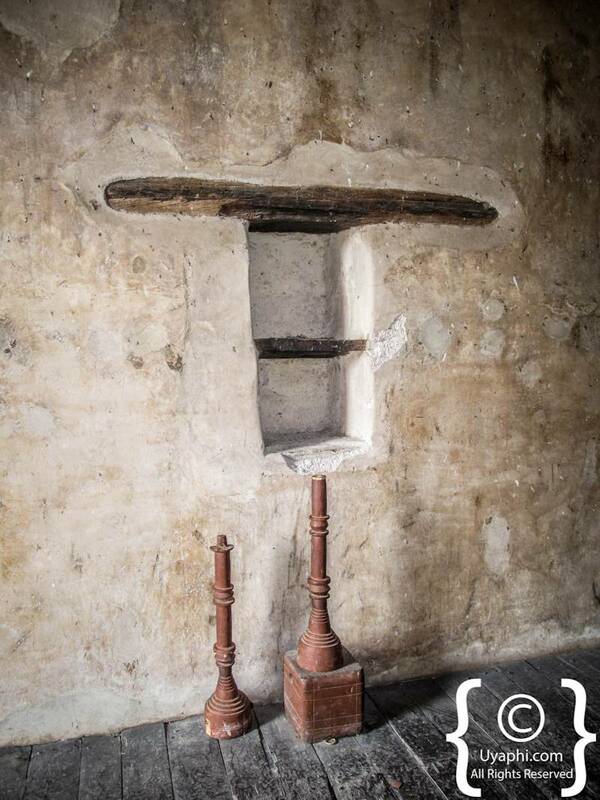 All very fascinating. 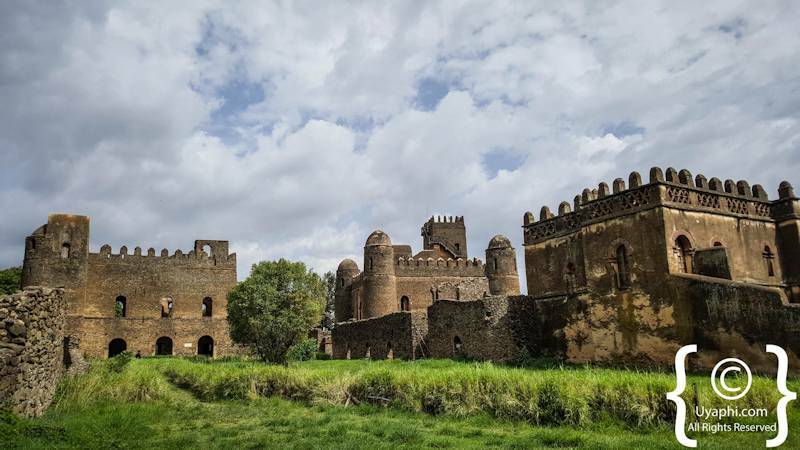 And then onto how photogenic the castles are, it has been a very long time since I have been smitten by something and yes these castles had my Pentax, Canon and Note5 all getting rather hot under the collar. 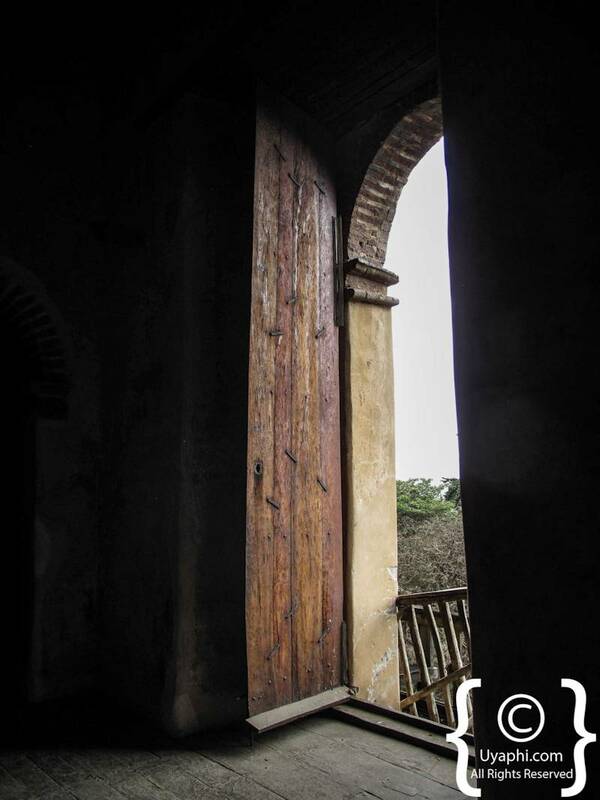 To tell the truth, I was not expecting much when I arrived but boy oh boy did I enjoyed myself. 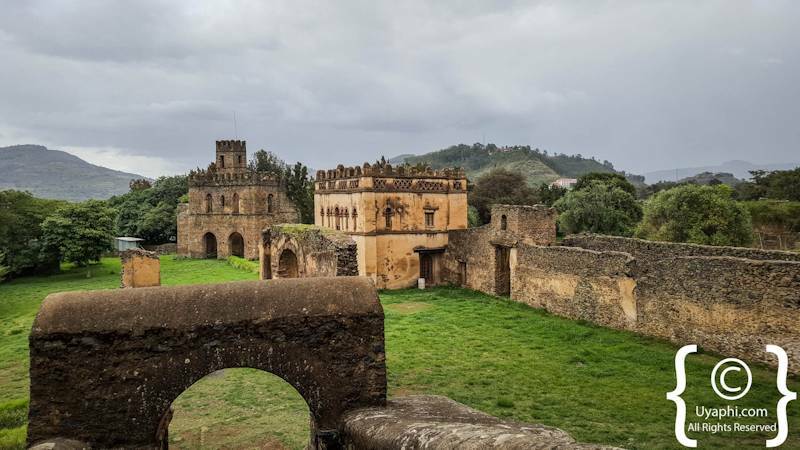 Everywhere you turn there is a photographic opportunity and with our guide in the background spitting out information left, right and centre I was in overload. 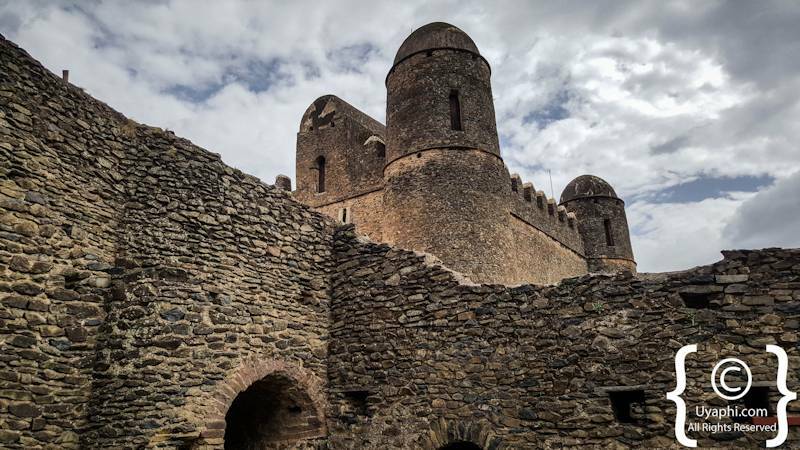 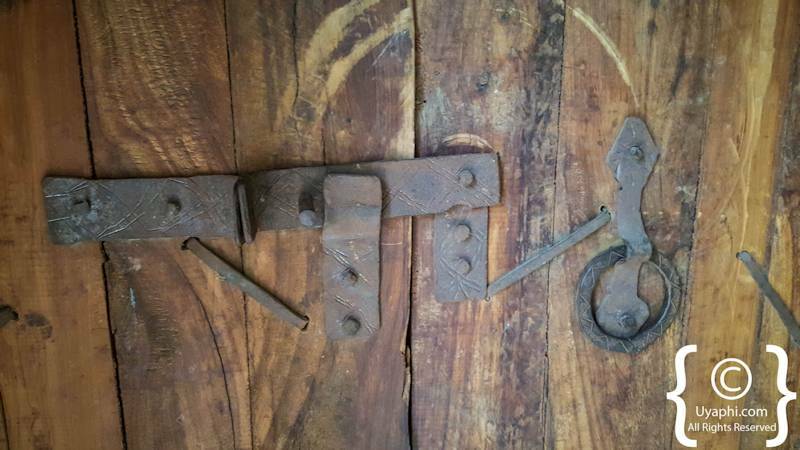 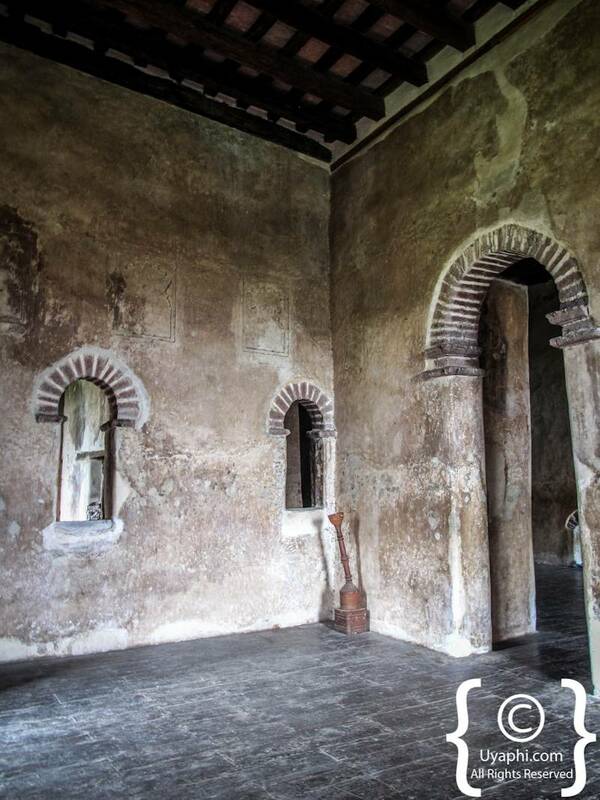 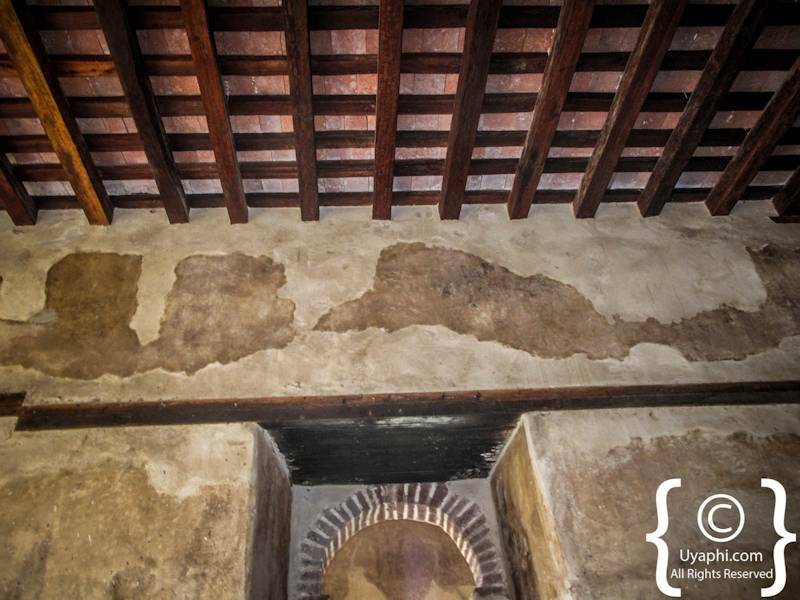 In a nutshell, you have to visit Gondar and the Royal Enclosure (and the Baths). 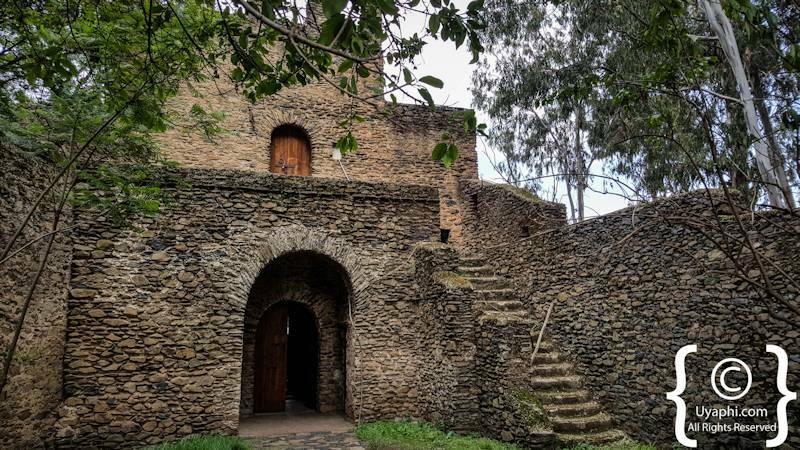 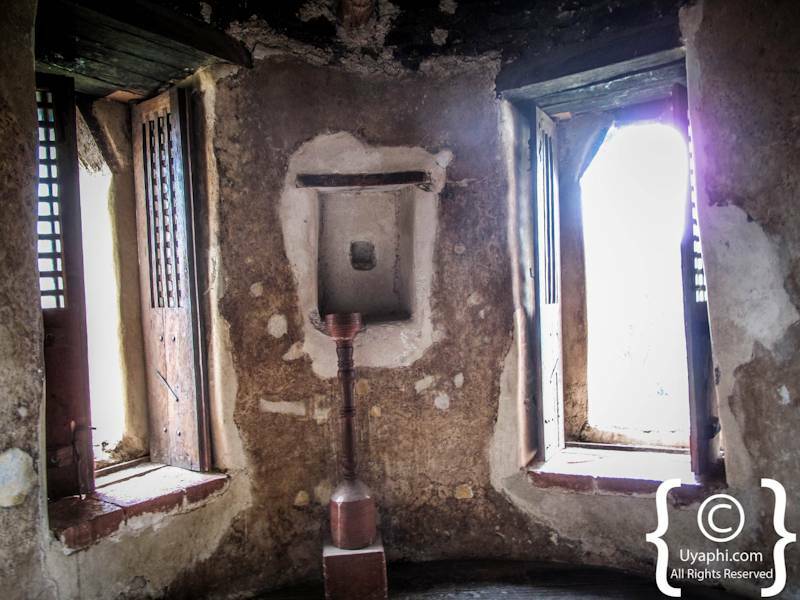 All photographs have been taken by us here at Uyaphi.com with the sole purpose of showcasing Fasil Ghebbi from our point of view.